Shipping is ONLY $4.95! No matter how many Books, Encyclopedias or Collections you buy! SAVE $5 on our new 3-Volume BOOK COLLECTION of the BEST SHOP IDEAS & TIPS! Each 168-page Book contains hundreds of time & money-saving repair advice, unbelievable work shop inventions, handy maintenance shortcuts and so much more! SAVE $5 on our new 3-Volume BOOK COLLECTION of the BEST "Money-Making Ideas To Boost Farm Income" - It's a fantastic collection of more than 750 profit-boosting ways farmers can increase their farm income, ideas for start a side-business or how to earn some extra cash. 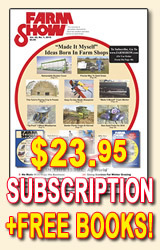 SAVE $5 on our popular 3-Volume ENCYCLOPEDIA COLLECTION of the BEST "Made-It-Myself" Ideas & Farm Inventions. born in workshops. Each 482-page Encyclopedia is PACKED with over 1,200 stories about unbelievable shop inventions, farm equipment modifications and handy repair ideas born in farmer's workshops! 482-page Encyclopedia that features more than 1,200 stories about the most unbelievable "Made It Myself" farm inventions, from the years 2000 to 2004. Also includes The Top 30 Shop Inventions from the past 30 years of FARM SHOW Magazine! This is Volume I from our popular 3-Volume Encyclopedias Series of "Made It Myself Ideas". 482-page Encyclopedia features more than 1,200 of the BEST "Made It Myself" farm invention stories from 2005 to 2009 of FARM SHOW Magazine. This is Volume II from our popular 3-Volume Encyclopedias Series of "Made It Myself Ideas". 482-page Encyclopedia featuring more than 1,200 stories about unbelievable "Made It Myself" shop inventions, farm equipment modifications and handy repair ideas born in farmer's workshops across the country, from 2010 to 2014 of FARM SHOW Magazine. This is Volume III from our popular 3-Volume Encyclopedias Series of "Made It Myself Ideas". 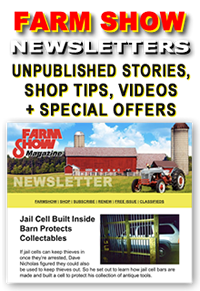 168-pages of Great Shop Ideas, money-saving repairs, time-saving maintenance shortcuts, modified tools & equipment plus the best shop tips, from past issues of FARM SHOW. This is Volume I in our 3-Volume "Great Shop Ideas" Book Series. 168-pages packed with Great Shop Ideas, money-saving equipment repairs, time-saving maintenance shortcuts, modified tools & equipment plus the best shop tips, from past issues of FARM SHOW. This is Volume II in our 3-Volume "Great Shop Ideas" Book Series. 168-pages packed with Great Shop Ideas, money-saving equipment repairs, time-saving maintenance shortcuts, modified tools & equipment plus the best shop tips, from past issues of FARM SHOW from 2013 - 2017. This is Volume III in our 3-Volume "Great Shop Ideas" Book Series. How-To Guide to Farm Based Businesses and hundreds of on-farm business ideas for boosting your farm income, without ever leaving the farm. Features the best money-making ideas from the first 30 years of FARM SHOW. This is Volume I in our 3-Volume "Money-Making Ideas" Series! How-To Guide with over 250 Farm Based Businesses and on-farm business ideas for boosting your farm income, without ever leaving the farm. Features the best money-making ideas from 2004 to 2009 of FARM SHOW Magazine. This is Volume II in our 3-Volume "Money-Making Ideas to Boost Farm Income" Series! How-To Guide with hundreds more Farm Based Businesses and on-farm business ideas for boosting your farm income, without ever leaving the farm. This 168-page book features the best money-making ideas from 2009 to 2014 of FARM SHOW Magazine. This is Volume III in our 3-Volume "Money-Making Ideas to Boost Farm Income" Series! Hundreds of Energy-Saving Ideas are packed in this 128-page book of helpful energy-saving ideas and equipment modifications that will save you money. These stories are from the first 31 years of FARM SHOW Magazine. 168-page book featuring the "Best & Worst" Buys of farm equipment, submitted by our readers. Also includes exclusive buying tips you can use! 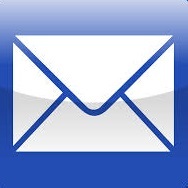 Organized by category so it's easy to find owner reports on products you're looking to buy. World's First Collection of Garden Tractor Inventions! This fantastic 168-page book features hundreds of stories about innovative garden tractor modifications, unbelievable rebuilds, repowers and unusual accessories from the first 36 years of FARM SHOW Magazine. Save money and boost power by repowering old farm tractors, pickups, garden tractors and more. Fantastic 128-page book that includes a list of sources for low-cost replacement engines and Do-It-Yourself kits. 128-pages with hundreds of unbelievable examples of low-cost machines that were built from old or "junk" combines and schoolbuses, which often still have good engines and other components even after they've been "retired" from active duty. 128-page book featuring more than 300 unbelievable "Made It Myself" tractors built by farmers & ranchers. Even if you've never considered building your own tractor, we think you'll be amazed by this amazing collection of the best Do-It-Yourself farm tractors, submitted by our loyal readers. Are you in the market for a new or used tractor? Or maybe you just want to know where your tractor ranks? To help with these decisions, we've put together a 168-page book of the "Best" & "Worst" Tractors, with thousands of reviews & reports, submitted by our loyal readers. Fun Do-It-Yourself Projects Book with hundreds of ways to amaze your friends & family! 168-page book PACKED with wonderful Home-style Recipes, kid-friendly Jokes, educational Liberty Quotes and so much more! The kids & your wife will even enjoy reading this book! You won't believe your eyes when you see what's on our new DVD! Amazing Farm Inventions brings to life 34 of the best "made it myself" ideas featured in FARM SHOW over the past few years.